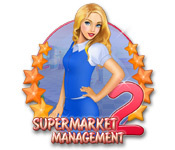 Supermarket Management 2 is rated 4.1 out of 5 by 28. Rated 5 out of 5 by seabeemom from Love it I play this game often & I really wish there was a new one. Supermarket 3 where are you? Rated 5 out of 5 by cutekittykimmy1 from Great game I have really enjoyed playing this game over the year. I have completed the game now 5 times. I have just downloaded it back again to have another go. Love the mini games and the challenges. If you love time management games please give this a go with the free trial. Rated 5 out of 5 by Tina_TX_W77 from Enjoyable Game I enjoyed this game, was a lot of fun and its one i did not get bored with. Wasn't to short and always added something new to do or a small twist to it so it is not repetitive. Not overly challenging yet just the right amount of fun. Thumps up to this one. Rated 5 out of 5 by cheryledz from LOVE IT!! Just from playing the 1 hour! I LOVE this game!! Just from playing 1 hour, I had to get it! For $2.99, you can't beat it!!! I usually don't listen to the music, but it isn't bad. It's an enjoyable game. I wasn't bored, I just wanted to keep playing. It wasn't a "cut-throat" type of game, just relaxing. It's nice to know that you can tick a customer off because its only a game! You can't get fired in this game! lol Can't beat the price for this one. I usually enjoy Match 3's, but I do like time management ones also. Try the 1 hour trial, find out for yourself. Rated 5 out of 5 by pelicanbrief from Time Mangement fun! 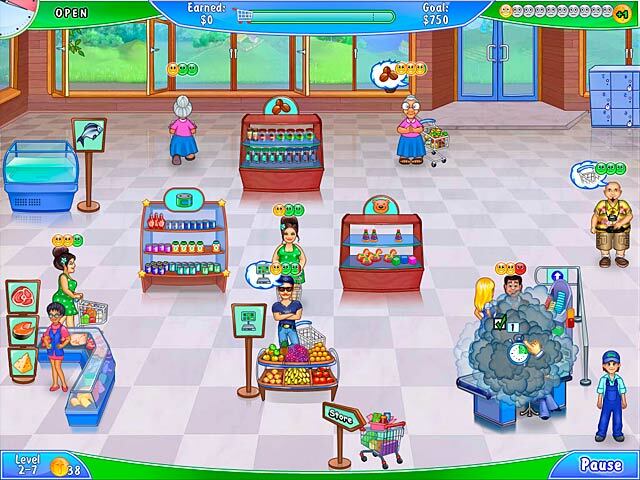 This sequel to the first Supermarket management game is a big improvement. More challenging and is fun! I always go by the rating when I purchase a new game...and then I do the trial for five or ten minutes to see if I really like it...this game is a hit! Rated 5 out of 5 by MelissaZ28 from Addicting I have gone back and played this game over and over. The only thing I don't like it having to scroll through people's faces and options on some of the levels. 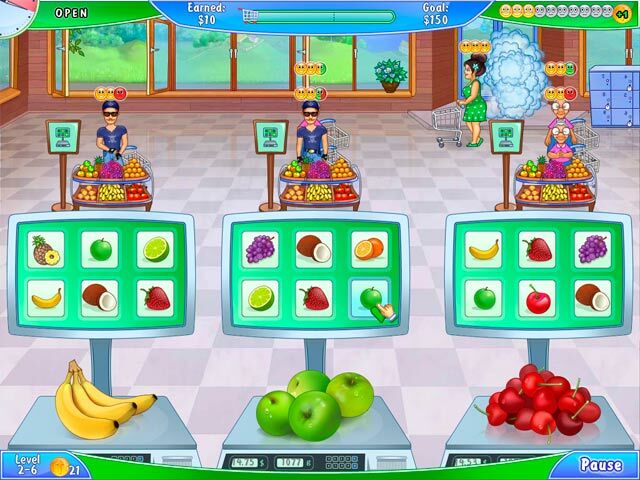 Rated 5 out of 5 by sparklefish777 from The best grocery game! This game is so much fun! And I really enjoyed Supermarket Management 1 as well. Please make a Supermarket Management 3! Rated 5 out of 5 by michelle1187 from One Of The Best! I really enjoyed this game. 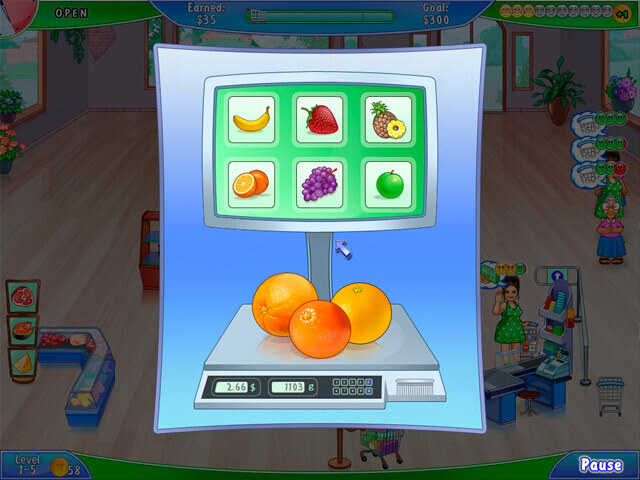 I liked the interactive scenes when a customer demanded specific things like fruit, cheese, things at the sample table, and many other little things... This game kept me glued to my monitor for a few hours. I wish it were longer and I do hope they make another one.